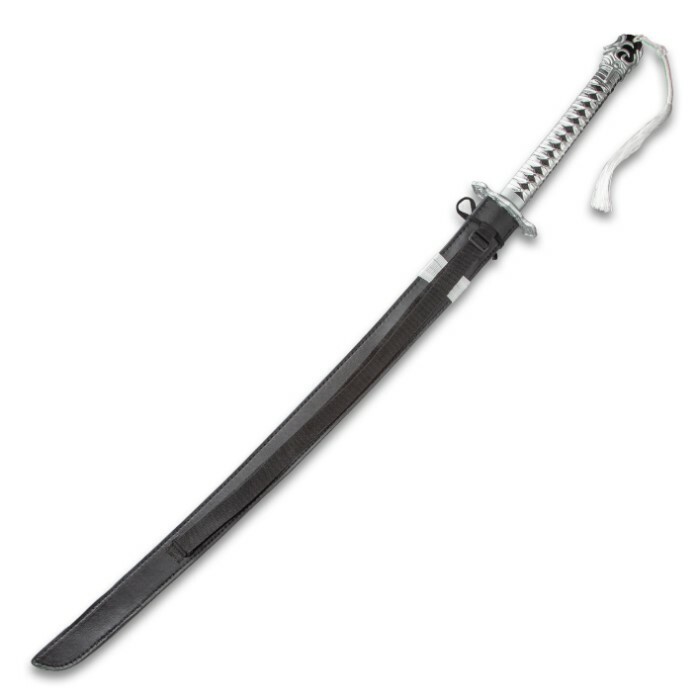 Silver Droid Combat Sword And Scabbard - Stainless Steel Blade, Hardwood Handle, Leather Wrappings - Length 48 1/2” | BUDK.com - Knives & Swords At The Lowest Prices! 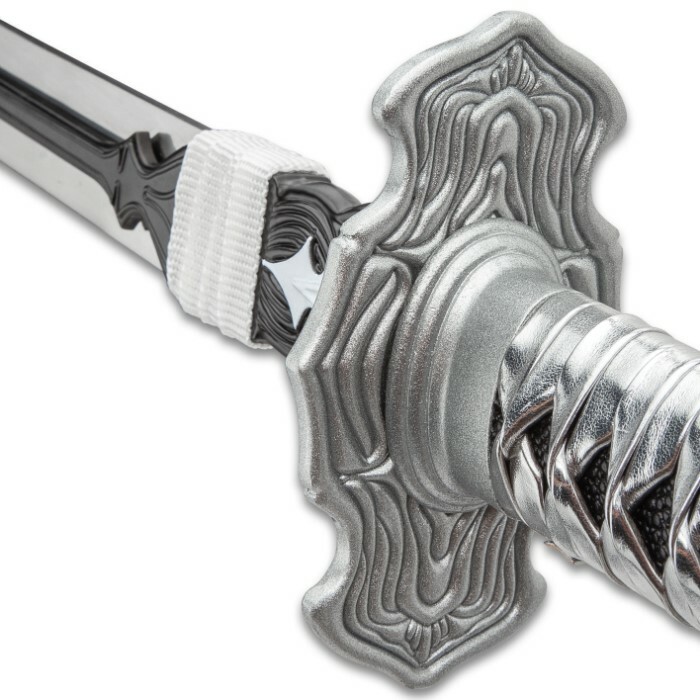 Inspired by popular gaming culture, our Silver Droid Combat Sword is the real deal! 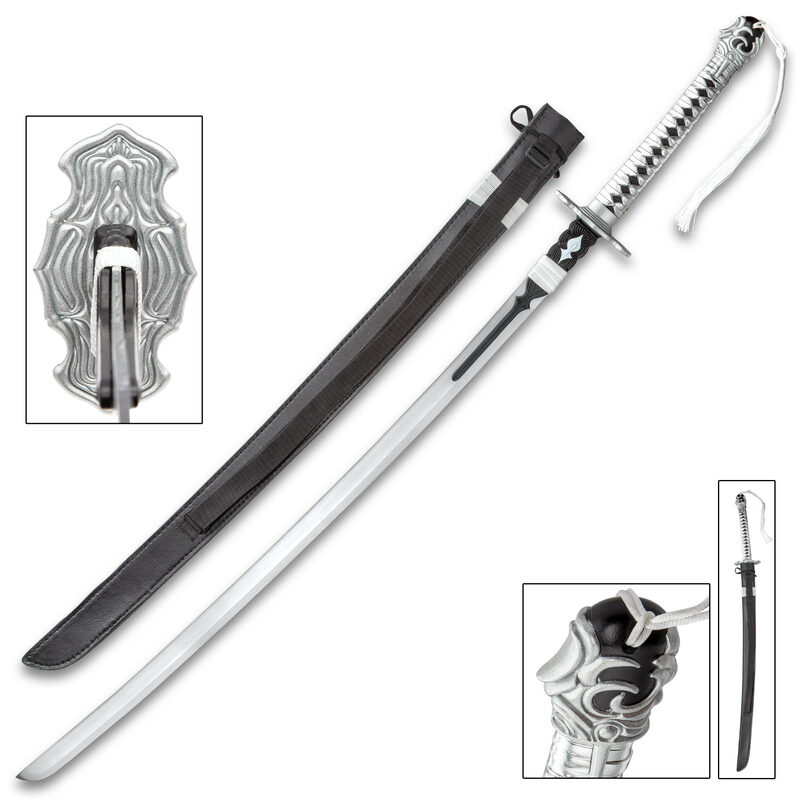 With tons of recognizable details and high-quality construction, you’re getting a premium display sword that’s also perfect for cosplay. 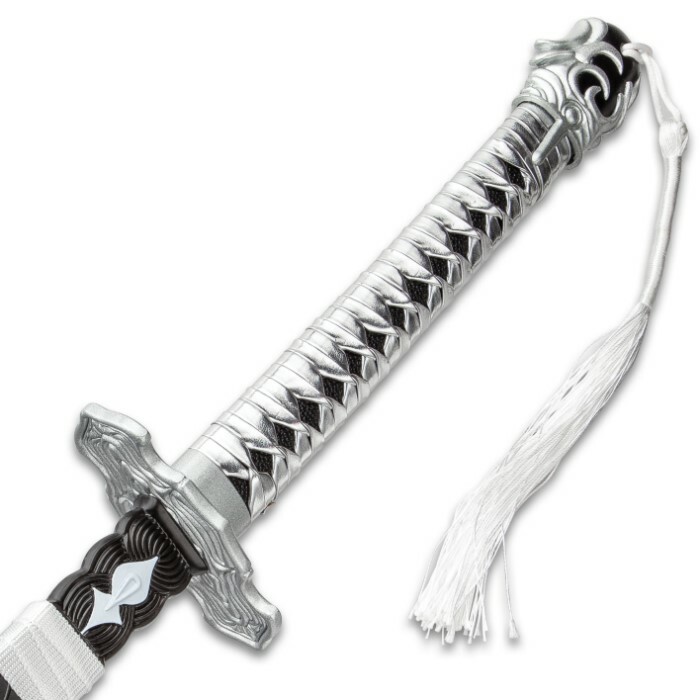 It has a 32 3/10” stainless steel blade leading up to an extended black fantasy blade collar piece with a white design. 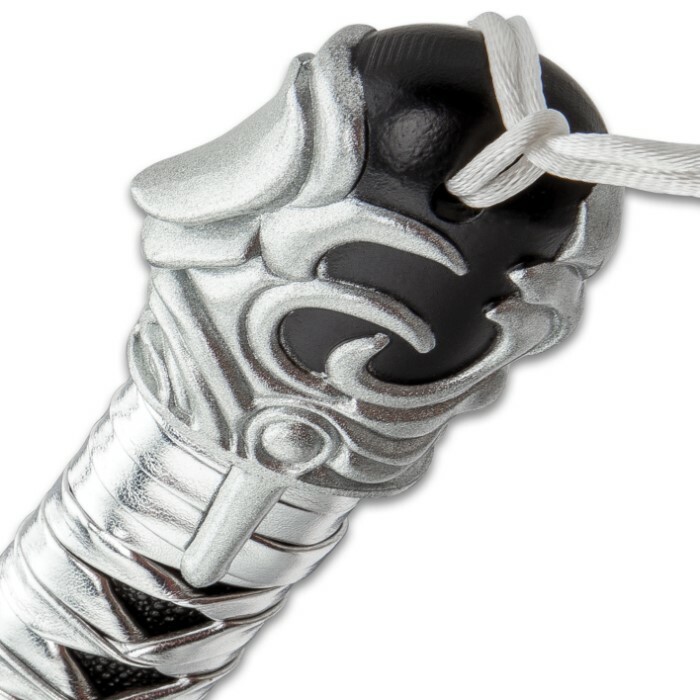 The hardwood handle has been traditionally cord-wrapped in genuine silver leather and faux rayskin and the pommel features a decorative tassel. 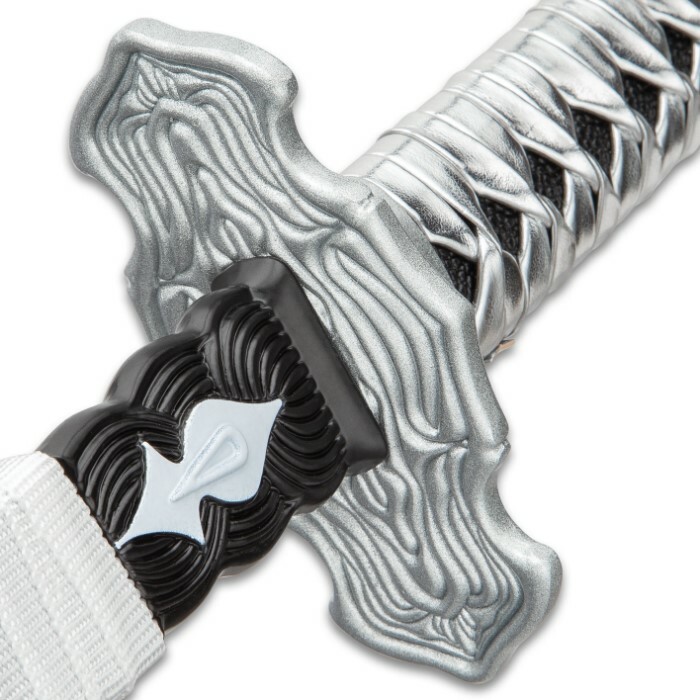 The intricately detailed handguard and pommel are expertly crafted of black and grey metal alloy. The online gaming inspired sword slides into a faux leather scabbard with an adjustable strap for over the shoulder carry.